Imagine earning university credit while studying History or English in Oxford, England, or completing your teaching practicum in a classroom in China, Australia or Alberta, Canada. Think what it would be like to study abroad and spend part of your university term studying the film industry in sunny southern California or exploring ecology with the Au Sable Institute of Environmental Studies. These are just a few of the many study abroad opportunities open to Crandall students with a desire to see the world and broaden their learning experiences while in university. Each opportunity is as unique as the destination selected and brings students back to campus with a depth of experience it would be impossible to gain in any other way. If you’re looking to add an extra dimension to your education, a study abroad experience that will alter your understanding of the world and boost your university education to a whole new level, consider making Off-Site Study a part of your degree program. To study abroad, the first step is to review the links on this page and talk to your academic advisor. Be sure to plan early in order to fit your off-site learning experience into your graduation plans. A world of opportunity awaits your discovery! The years spent studying toward your undergraduate degree are said to be among the most exciting of your life; but who says they can’t be even better? 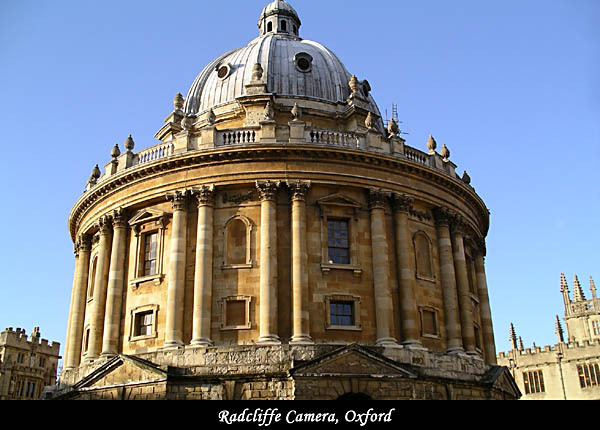 What if you could spend one semester as an associate student at Oxford University? What if during your stay you lived with a friendly British family in a small, safe, and very picturesque town just a few train stops from Oxford? What if your classes were taught by local experts in their fields, and what if those same classes sometimes left the classroom to study on-site at museums, theatres, gardens, the U.K. Parliament, and other related sites? What if you could do your class research in one of the world’s greatest libraries?